17 for 2017: Changing media, changing the creative process, changing behaviours. Whether you call it PR, communications, content services, whether you are a freelancer, boutique agency or multinational, the industry around us will change faster than ever before next year. We are seeing a unique dichotomy building within the role of PR and communications professionals demanding real versatility. With a rapidly changing media scene across the region, with many publications closing or consolidating, the need for best in class media and influencer relationships has in reality never been stronger. The backbone of our industry for so many years, the traditional extended press trips, coffee meetings and press conferences are harder and harder for a journalist or influencer to manage due to hourly multimedia deadlines and tiny editorial teams. We must therefore find new and better ways to creatively build relationships that really help media and influencers do their jobs. Conversely, the need to put media and influencer relations to the back of our mind has never been more important, as the creative process changes rapidly. Our clients do not need or want a media relations only solution to a challenge. They need an integrated solution based on insight, purpose and a real campaign, created by agencies willing to genuinely collaborate. The debate over where ‘creative’ comes from continues, and modern communications agencies will only retain their place at the table if they bring ideas based on data, insight and meaningful business results. And we must focus on the way we change thinking and behaviours – the true test of whether communications really works. As governments across the region look to affect real change in the habits of entire populations – whether related to health, exercise, recycling, or happiness – behavioural science, behavioural economics and data analysis are now playing an important part in how we construct campaigns. We are using cutting edge academic research alongside primary local research into how people really think and act, rather than just how we want them to. For many agencies, including our own, 2017 is ultimately a year of continuing investment in brain power and people. Bringing in more experience in data, behavioural science, measurement, digital development, creative content development, media and more. Training our best people to deliver more for clients, their own teams and their own careers. Providing this depth and breadth of ‘traditional’ PR skills alongside varied marketing and content skills, will be essential in a busy, and transformational, year ahead. 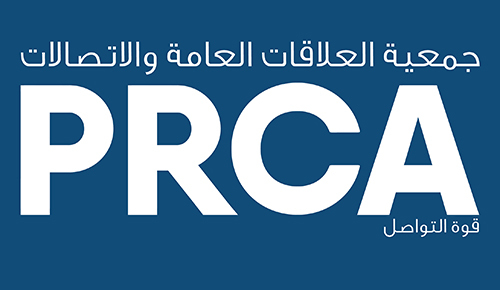 https://prca.mena.global/wp-content/uploads/2016/09/PRCAMENA.jpg 0 0 prcaadmin https://prca.mena.global/wp-content/uploads/2016/09/PRCAMENA.jpg prcaadmin2017-01-05 17:01:512017-01-05 17:01:5117 for 2017: Changing media, changing the creative process, changing behaviours.